2014 Bram Stoker Award® Nominee for Superior Achievement in a First Novel. 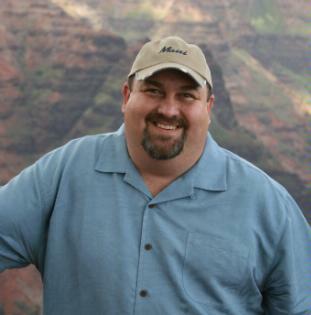 Ted Browning moves back to his rural hometown of Logan, West Virginia, after learning his grandmother is dying of cancer. When he hears talk of Mothman sightings from miners at Bear Creek Coal Company he simply doesn't believe it-until a series of events puts him in direct confrontation with the evil winged creature. Ted is forced to face his inner demons in order to protect the very loved ones he's kept at a distance for twenty years ... and to let go of a tragic past that is drawing him like a moth to the flame. 5.0 out of 5 starsEngrossing from beginning to end! I will read anything and everything that features my favorite cryptid. This time around the Mothman wreaks havoc in the town of Logan, West Virginia. A quick read, the author nonetheless delivers an engrossing tale. Previous resident, Ted Browning, returns home to care for his ailing grandmother who has been diagnosed with terminal cancer. There, he encounters a number of people from his past, some of whom resurrect memories of a tragedy that drove him from town. Ted has his own inner demons to overcome, but a far greater menace to face when the Mothman begins to target those he knows. The book is populated with characters that reflect the heart, soul, and heartbreak, of life in a mining community. The horror element is nicely balanced with good, old-fashioned creepiness and a regular guy “hero” forced to confront a being of incredible power. Mothman fanatics all have their opinions of the creature’s origins, but I especially liked the twist Mr. Knost gave to his red-eyed monster. Satisfying from beginning to end, this is a character-driven book as much as a horror story. Well done! Many books have been dubbed "a quick read," but that quickness is often the result of skeletal phrasing, lack of imagery and a single, thin plot with nearly non-existent character development. The pace of Return of the Mothman is not borne by such lightweight deficiencies. It spreads a dark wing and soars on updrafts of real tension, casting genuine fully-formed characters into a free fall of terror. The keen-as-lightning narrative propels the reader, energizes the senses and yet seethes with the claustrophobic gloom of the deepest coal mine. This book is a chrysalis from which resonating chills will hatch long after you've finished. You will be frightened. You will believe. 3.0 out of 5 starsBram Stoker Winner? As a fan of horror, I was really excited to read this Bram Stoker Award winner, but in the end found ig good, but not great. The author's did do a fatastic job weaving in the history and industry of the area where the story was set. He clearly did his research. His abilities to write believable dialogue and create mentally-visual scenes were also strong, and he built the ascending arc of the story very well, but, for me, he hit the gas pedal a little too hard during the climax. Also, the overall "Mothman" part of the story fell kind of a flat, coming across as more of a monster-of-the-week yarn, rather than a truly terrifying tale about a eerie and enigmatic creature. 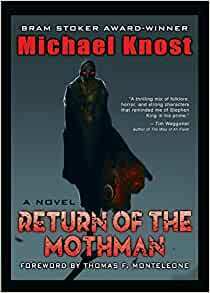 Really enjoyed revisiting the mothman in new setting. Spellbinding enthalling. This is an enjoyable read. The characters are all down-to-earth and so is the writing. You won't find any flowery prose, just what gets the job done. I wasn't very fond of the analogies in the book but they're few and far between. For the most part everything is fluid and the book is a quick read because of it. The best writing comes in the climax. The action is fast yet easy to keep track of. Mothman isn't just something spooky that stands in the shadows, or a portent of doom. He's corporeal in the story and poses a real physical threat to the characters. Obviously there's a huge regional audience for the book as Mothman is firmly implanted in West Virginia myth. But don't be afraid that you can't keep up if you happen to be far away from that location. In fact, folks from other areas might find the slice-of-life sections to be more interesting than local readers. 5.0 out of 5 starsGreat book for young and adult readers! As a West Virginia native I grew up hearing the legend of Mothman from the time of my childhood in the early 1970's. Due to this, I keep my eye out for books on Mothman. This book is a natural for me. However, you do not need to know a thing about West Virginia or the Mothman to enjoy this book. This is a good book to read in one sitting. It is well paced, with realistic dialogue and enough plot to keep the story moving without being confusing. It also had a real feel of suspense throughout. While this is a book of fiction, the author did a good job of using local history (besides the obvious legend of Mothman, he includes the Buffalo Creek disaster, the collapse of the Silver Bridge, and the curse of Chief Cornstalk) to add a feeling of authenticity to the book. He does a good job of taking a character that has been examined in many books and documentaries, as well as a major motion picture, builds upon these sources and adds enough of a twist to make him feel fresh, without creating a totally different and unrecognizable character. I highly recommend this book for anyone that likes stories which contain suspense and drama, with characters you want to root for. As I read, I could see the Mothman. I could hear him. I could smell him. I even tasted the Mothman. Best of all, I feared him. Masterfully woven into this folklore-based horror is the story of an ordinary man up against a wall of human emotion nearly as difficult to tear down as the beast who haunts him. The realistic problems facing the protagonist place the reader in a highly believable and relatable setting, and that makes this book even more frightening. Michael Knost artfully alternates moments that warm the heart with moments that make it skip a beat. When you finish reading, you'll want to hug your grandma, kiss your partner, sleep with one eye open, and possibly even change your underpants.